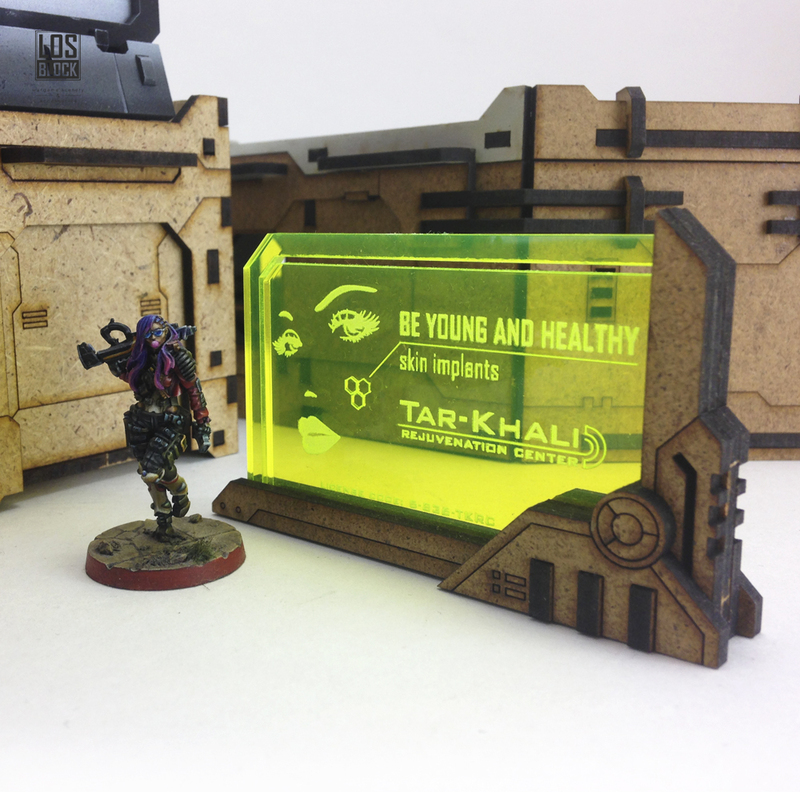 Holo-Panels will give your miniatures a nice cover along with information on services and wares, they are interested in. 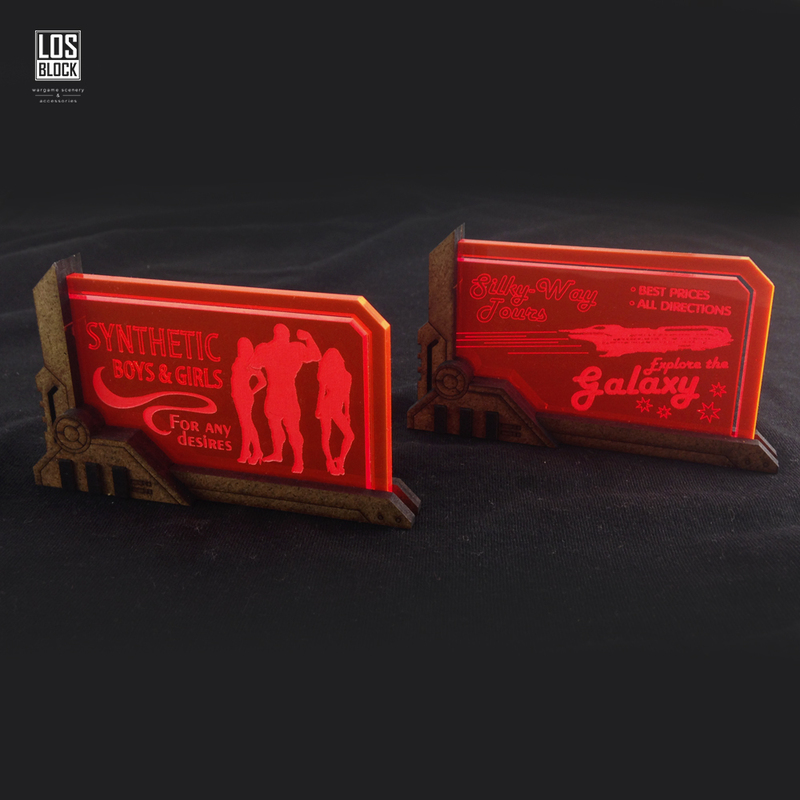 In this set you will find 2 panels - "Synthetic boys&girls" and "Silky-Way Tours". Choose their color in the product options.